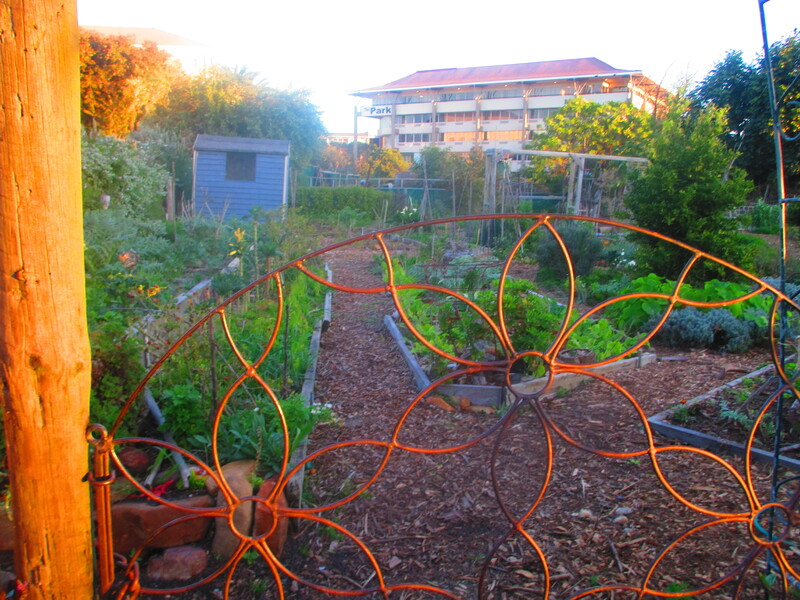 The Oude Molen Eco Village, situated on the last remaining farm land in central cape town. Is a hidden gem rich in cultural diversity, community driven and Eco friendly enterprises. Mosy on through and explore the village for a truly unique experience while you stay with us. Farmhouse breakfasts, coffees, biscuits and cakes, light lunches, fresh juices, jams, organic produce. You have to try their famous olive ciabatta which is baked fresh daily in the clay ovens. Peaceful garden setting with treehouse, swings and wendy house for the kids. They also hosts farmers and craft markets on Sundays during the summer months. Margot Neser’s garden is a must visit if you love to see things growing. She has a cute, tiny shop that is open Wed to Sat. She has lovely veg fresh from the village gardens, free range eggs, raw milk, yoghurt and butter, aloe products from Albertinia plus a lot of other interesting healthy items. Well worth a peek. 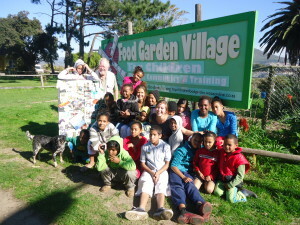 Jono Kennedy founded the Food Garden Pr oject for the children of Maitland Garden village where the kids grow their own vegetables to take home or to sell. Other members on the village rent plots here to grow their own produce. This project is centered around and educating the community on sustainable development and permiculture . Kendre Allies has a sizable herd of horses – over 30 to choose from including small ponies for the kids. 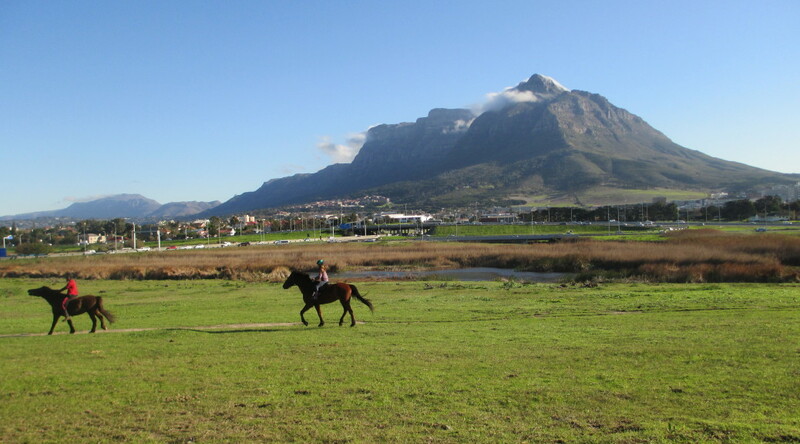 You can have a lesson in dressage or jumping in the many arenas or take the horses out along the rivers nearby on longer outrides. He also stables horses for owners. 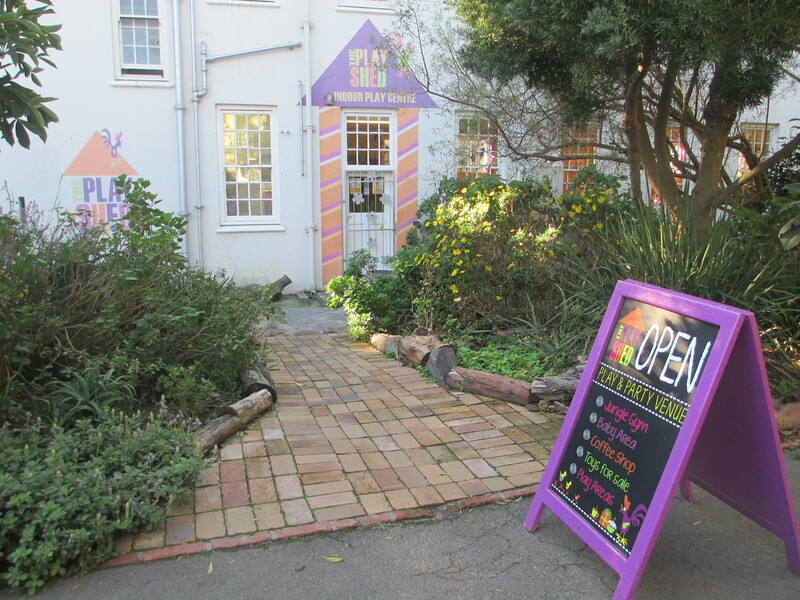 Belinda Ormond has a wonderful studio and offers classes for adults and kids. Guests who are staying for a bit longer can come and join in and make a few pots to take home. Belinda has her own kiln and will fire the items and advise on glazing options. Many of Helen’s pieces form part of the décor at the lodge. Bruce Goodall recycles old records by re-purposing them as wall clocks with colourful motifs. Great gift item to take home. Prop Art specializes in cleared art rentals for film, television and commercials. Kirk Doman has an extensive cleared Art Portfolio, that includes paintings, photography, graphic prints, certificates, maps, and sculpture pieces. In addition they also carry a selective range of props. Visitors are welcome to amble through the studio to view the collection. Definitely a fascinating place to pop in. Dingiswayo Juma offers Interactive Drumming workshops. Lamelophone, and dance workshops. Perfect for parties, team building, school tours and entertainment for functions. Instrument sail, repair and customization. Sometimes Juma’s drumming classes can be heard echoing through the village. 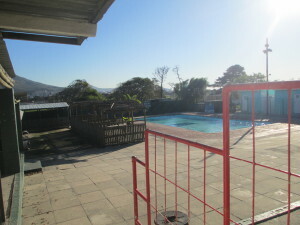 You can visit the pool, have a swim and enjoy the braai area. 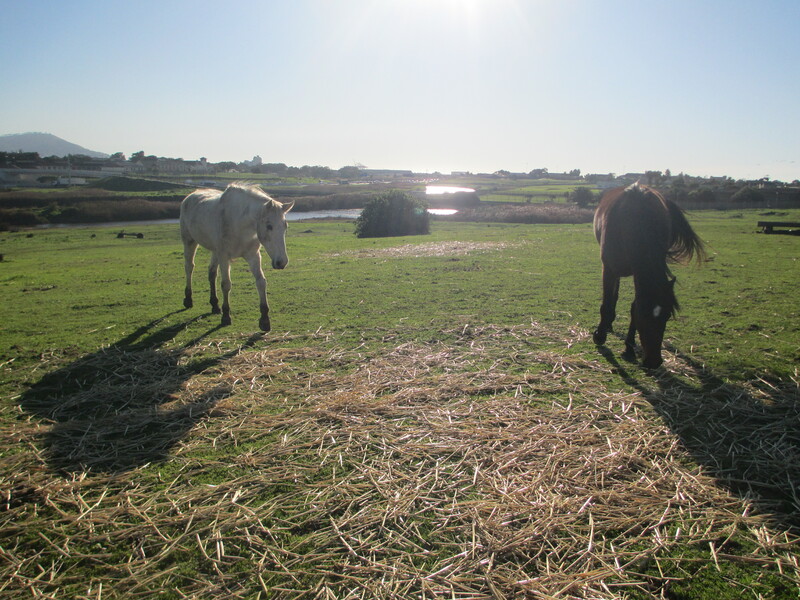 Many day visitors make use of this space in summer and have a relaxed day out with the family. 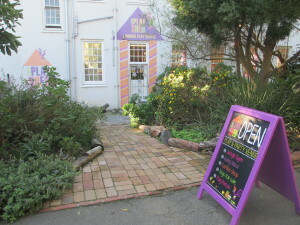 The venue can also be hired for private functions. Jeanne Goodall has created a wonderful indoor play centre for small kids complete with jumping areas, dress up chests, kiddy party areas etc. She also caters for parties and offers meals and cakes daily for parents and kids. Jenny Marchand from the Honeybee Foundation has a remarkable puppet show that teaches kids about organic farming, bees and worms. She offers this show to school groups. The kids can also go on a wagon ride. Wagon and horses supplied by the Stables. She also offers beekeeping courses for adults. Jet Alfonso and his family run the shop near the entrance. A convenience store open till 9pm and offers the daily necessities. You can also pop into the internet café adjoining the shop for quick and cost effective browsing. If your visit is to see more of the Eco Village let us know because we have a one hour walking tour at R50 per person for 3 or more. In the sub menu are details of what the village has to offer and you can also visit on your own. Ask for and talk to John.